After you close on a home, most people don't remember the fine details of a Real Estate transaction. Most people do however remember the journey, the emotion associated with buying and selling a home, they definitely remember the experience. Lets work together to make your experience exceptional! Set a Higher Standard - We set the bar high for ourselves in every way. From the first interaction to post closing support, we focus on every detail along the way. Having a higher internal standard creates a better result for you and that is what matters the most. Be Consumer Centric - The only way to deliver the best possible experience is to make every effort to view the real estate process from a consumer point of view. This philosophy ensures decisions are made in the interest of our clients. Operate Transparent - There is a lot of smoke and mirrors within the real estate industry. Our dedication to a transparent process builds trust, confidence and ultimately a better result. Own the Process - The real estate transaction has a lot of moving parts. We have processes in place for each phase of the real estate transaction. These processes help us avoid most issues and when problems do come up…. we have a process for that too. Van Slavens was easy. He helped me through the process of buying my first home and I was able to get the house I wanted! No hassels, just time and patience. 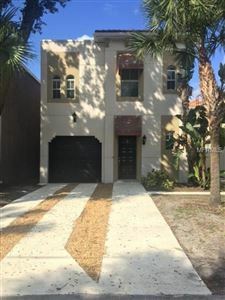 Bought a Single Family home in 2017 in Valrico, FL. Working with Jerry Van Slavens was easy. He helped me through the process of buying my first home and I was able to get the house I wanted! No hassels, just time and patience.